These Cyprium Flat Ring Eggbutt Bit items are made of only exceptional quality materials. When buying a Flat Ring Eggbutt Bit from us rest assured you are getting a great product at unbeatable pricing. This Flat Ring Eggbutt Bit does not rotate around the rings which prevents pinching of the horses lips. It also creates a snapping action with rings and mouthpiece. 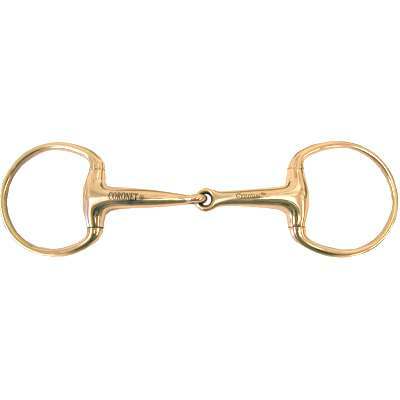 The copper in this Horse Eggbutt Bit also helps with horses salivation which will keep the mouth moist. Finding the perfect Eggbutt Bits can be very hectic and time consuming. This is why we strive to offer only exceptional quality products that we believe are made of unsurpassable craftsmanship.